Oven Cleaners Home & Commercial Kitchen Stockport SK4 | YGM Cleaning Company Ltd. The experienced cleaners working in the oven cleaning company can provide a full one-off deep cleaning of the kitchen, which includes a deep cleaning of all appliances, together with all cupboards, surfaces, doors, floor, windows, taps, sink and others. 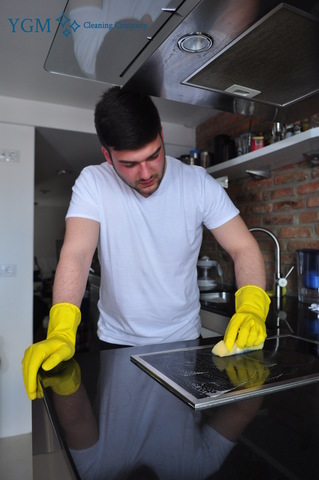 One other cleaning services which are accessible upon demand are: single or double oven cleaning, stove deep cleaning, microwave clean, BBQ racks clean, gas grills clean, ceramic hobs cleaning, hotplates cleaning, gas hobs cleaning, gas cooktops, ceramic cooktops, free-standing ovens, electric hob, ceramic hob, halogen hob, Stoves, electric cookers cleaning cookers, Aga cooker Rayburn, Range cookers, cookware, stanley range cookers, extractors, warming drawers, oven racks, fridge cleaning, freezers. Upon request: tiles and grout, splashback cleaning, all kitchen appliances, canopy cleaning, ductwork cleaning. Alongside the good quality deep scrub of ovens, the trained cleaners will offer one off deep kitchen cleaning that could be domestic or professional, grout and tile cleaning, microwave, washing machine, dishwashing machine,, structural, canopy, ductwork and additional appliance deep cleaning. And so, for anyone who is searching for a cost-effective, harmless and very efficient deep oven or deep kitchen cleaning, book your cleaning service right now! The oven cleaners in Stockport cover the place under and around the oven or other kitchen appliance which is going to be cleaned. They check the oven and if everything is OK, they proceed to disassemble it and take off any removable parts, such as: the oven door, control knobs, oven trays, pans, racks, fans, light protector, panels, and extractor filters. They are all dipped into a water and detergent solution which degreases them, disinfects them and makes them easier to clean. Meanwhile, the professional oven cleaners scrub the inside of the oven until all dirt, harmful burnt on carbon, residual grease and grime has been completely removed. The disassembled parts are also scrubbed with the appropriate wired brushes and sponges so that they are cleansed of all the dirt and then rinsed off and left to dry. After that, the oven is assembled back together and tested. The trained and well-vetted oven cleaners first test your oven together with you. Then simply they cover the place to prevent making a chaos and proceed to get rid of the removable parts from your oven, such as: the oven trays, pans, racks, panels, fans, light protector, control knobs and extractor filters. They are all sanitised and disinfected by being dipped in a highly efficient and yet completely safe cleaning solution and warm normal water. The professional oven cleaners use wired brushes and sponges to meticulously clean the within of your oven, and then clean every single and every single part. All parts are washed with running drinking water, dried and then assembled back together with each other. The oven cleaners polish the oven and then once again test it together with you or another person in charge of your kitchen. The oven cleaners are fully covered, experienced and trained to deal with all kinds of ovens and appliances. Upon request, you can even get the light bulb or another part of your oven replaced by them. The booking procedure of our oven cleaning in Stockport is simple and fast. You simply need to call the 24/7 customer care service at 0161 823 0323 or contact them via the online booking form. They will process your request and get back again to you by text message and email as soon as possible. You can book your oven cleaning with professional oven cleaners in Stockport SK4 or other cleaning service for any day of the weeks time. The service is available even on public holidays without having an extra charge for that. Book your professional oven cleaning service today, and enjoy the benefits of having a perfectly clean, risk-free and healthy oven once once again! Other services we offer in Stockport SK4 Carpet Cleaning Stockport, Gardening Services Stockport, Upholstery Cleaning Stockport.